It is with great sadness that the family of Lena Cluett (nee Jackson) announce her passing at Carbonear General Hospital, surrounded by family on January 3rd, 2018. Lena leaves to mourn, daughter: Marilyn; son: Jerry (Brenda); daughter: Cindy (Barney); grandchildren: Danielle (Shane), Jeannie (Salar), Kayla (Kyle), Brittani, and Josh; sisters: Glenna Ash and Dorothy Preston; brothers: Alexander (Ellen), Jethro, Wilfred (Daphne), and Wallace (Audrey). Also mourning Lena's passing is the Cluett family, brothers-in-law: Jim (Jessie), Alvin, Ron, and Albert (Marina) Cluett, and Fred Grandy; sisters-in-law: Betty (Harold) Parsons, Geraldine (Willlis) May, Ann Cluett, Shirley Cluett, Carol Cluett, and Florence Cluett, and many nieces and nephews. Lena was predeceased by parents: Arthur and Mable Jackson; husband Carlson; son: Roy; special friend: Fred Williams; brother: Charles; brothers-in-law: Charles Ash, Robert Preston, Edwin Cluett, Norman Cluett, Stan Cluett, and Leo Cluett; sisters-in-law: Nina Jackson, Viola Grandy, and Lilly Cluett. She was born in Cavendish, raised her family with Carlson in Frenchman's Cove, Fortune Bay, and enjoyed her retirement in Harbour Grace with partner Fred Williams and his family. She was a resident at Shag Rock Manor in Whiteway since May 2013. 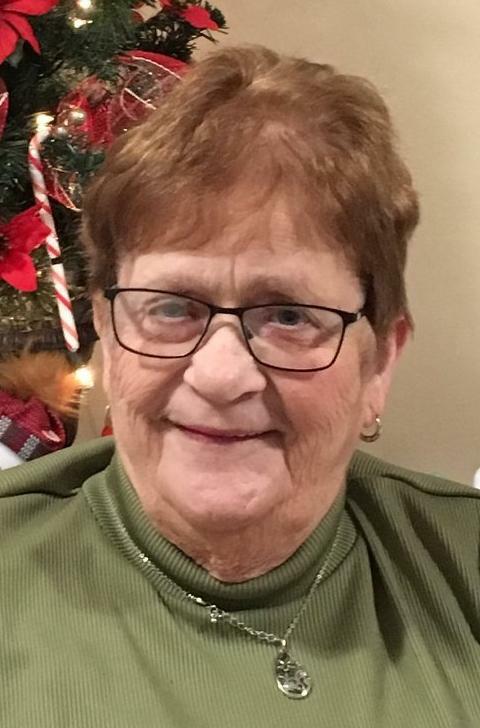 Lena leaves a large circle of friends, including those from her 13 years of working for FPI in Marystown, who will remember her for her love of a good time, sing-alongs, pranks, darts, bingo, cards, and dice. Her family would like to acknowledge her long-time friends Francis Legge of Garnish and Barb Murray of Carbonear. In accordance with Lena's wishes, cremation has taken place. Funeral service and inurnment will be held in Frenchman's Cove at a later date. In lieu of flowers, donations may be made to a charity of one's choice.